Harper Turf Equipment, a manufacturer of slope mowing technology, released the Tier 4 Final compliant ATM72LC slope mower. The new model offers improved hydraulics, ground drive performance and serviceability in comparison to its predecessor. The advanced components enhance the self-leveling comfort and driver safety features ATM72 operators have relied on since the 1980s, according to the company. The mower includes Kubota engines because of their clean diesel performance, areas of service and overall value. 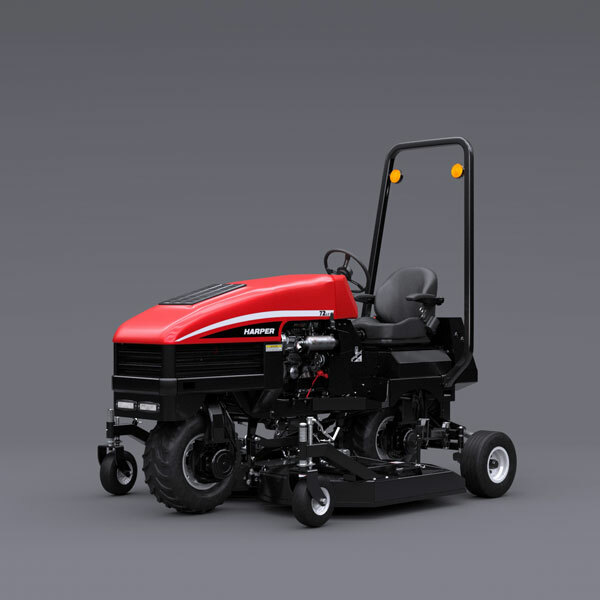 The liquid-cooled, 4-cylinder 24.8-hp engine powers through tough mowing jobs with ease and adaptability. Enhanced combustion efficiency reduces vibrations and sound emissions. The larger hydraulic tank, now located near the back of the machine, increases capacity and runs cooler, extending the life of hydraulic components. The redesigned leveling circuit provides constant down pressure on the stabilizer arms to absorb rough terrain, improving traction and operator comfort, says Harper.